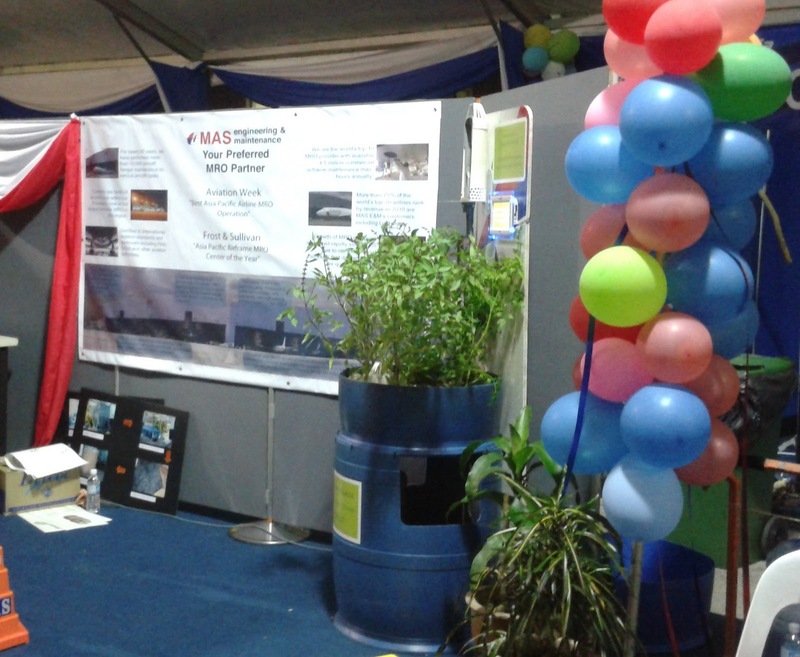 Affnan's Aquaponics: Malaysia Airlines - Exhibition 2nd April. Its 1st. April when we set this up, so some people may take it as an April Fools joke. Invited to display my Aquaponics set, more on the siphon that they are interested due using some basics principle of aerodynamics. These are preliminary setup, need to finalise the set to make it presentable. 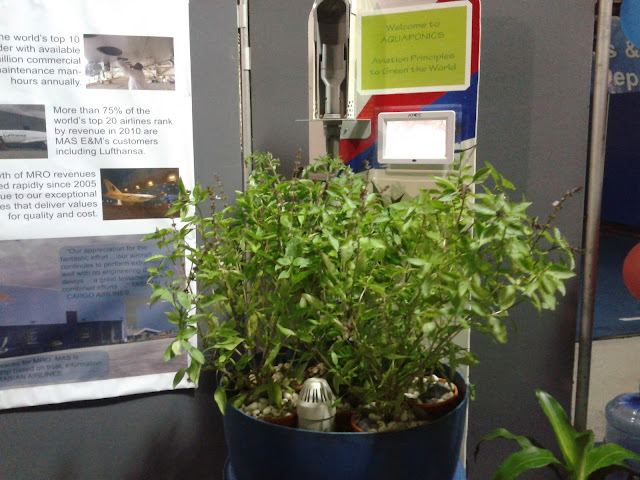 The display is not fully setup, will snap a better picture tomorrow. Well, just need some LED flash light to light up the thingy to make it more presentable. Since nobody can see the fish nor the siphon under the poor lighting.